I'm writing to request assistance with my imminent hunger strike, commencing 12/8/2017. You can help by calling the prison, repetitively and constantly, urging them to resolve the inhumane and unconstitutional conditions of confinement and mistreatment prison officials are subjecting me to here in Kasson Unit, which are enumerated below. I've submitted dozens of Releases of Information to Kasson's Mental Health Lead, Dr. Tracy Rogers, my therapist/advocate. The R.O.I.s allow her to discuss with you all matters concerning me. They allow ADC to do the same. Rogers and my mother (who is also the legal agent of my powers of attorney) are well-informed of these strike issues and can help you help me. I strongly urge you contact both to coordinate the best possible plan of advocacy for resolution. However, please do not hesitate to call in now. Ask for resolution. Demand it. I went through a similar strike in Sep., 2017. It lasted 13 days. I lost 26 lbs., or 14% of my body mass. Prison officials, during the strike, seemed willing, eager, to resolve the issues, but, as soon as I ended the strike (because they promised concessions and resolutions), they reneged and let the issues go unresolved. In fact, more issues have risen since, and they continue to perpetrate and ignore them. Please know that prison officials here, including mental health staff, can force me to be placed in the Mental Health Suicide Watch Pod. There, I will be stripped of all clothing, property, hygiene - everything. I will not be able to write, send personal or legal mail, work on my civil rights cases and appeals. Placement in Watch is purely retaliation and serves no purpose other than to act as a deterrent. Watch cells are filthy, never cleaned, cold. I'll receive no recreation or out-of-cell time. They'll be treating me worse than a dog at the pound on the eve of being euthanized. That is the ethos of Kasson Unit. Kasson Unit is rife with staff misconduct, psychological torture, psychological and sexual abuse by staff, illegal destruction of personal property (a violation of A.R.S. §31-228(A)), and other unconstitutional and illegal acts and procedures of prison officials. Kasson is the most corrupt, broken unit I've been in in my entire 12.5 years in ADC. The misconduct is systemic, and very few staff have managed to avoid the pool of corruption. This hunger strike is my last resort, my only recourse, so please help me urge them, these government officials who are paid with your tax dollars, to grant resolutions before things worsen. This strike is about finding justice, equality, fair and humane treatment, and human decency. The issues I'm trying to resolve are described below. Thank you very much for your concern and solidarity. 1. Kasson Unit must eliminate the extreme cockroach infestation. Each 4-man pod has thousands of roaches, each cell hundreds. They crawl everywhere: walls, floors, ceiling, property, clothing, bed, even my body, while sleeping. Staff have even delivered my food with roaches in it. They refuse to properly address the problem, will not pay their contracted exterminators the required amount to actually exterminate them. In my 15 months here they've sprayed a minimal amount of pesticide in the cells only twice. It is extremely unsanitary. 2. Since Jan, 2017, mail room, at Sgt. J. Ramos' direction, has been returning to sender all incoming books and magazines I subscribe to, in violation of my First Amendment rights. They falsely claim I have in my possession more than the allowed limit of books (10) and magazines (5). They do this because I challenge their illegal exclusions and censorship of certain magazines, such as Esquire, US Weekly, Cosmopolitan, etc. They figure that if they return to sender all publications, I won't be able to appeal censorship. They allow, seldomly, only secular publications, another First Amendment violation. 3. Staff, including C.O.3 Oswald, C.O.4 Castorena, and Dep. Warden Montano, refuse to allow me reasonable - or any - telephonic access to call my attorneys of record. This is causing irreparable damage to my legal cases and is highly unconstitutional. Pima Co. Judge Godoy has ordered an inquiry into this matter, but staff continue to refuse any legal calls, since Feb, 2017. 4. Staff must provide me with unfettered access to grievance forms, per policy (D.O. B02.01.1.7) and the Redress of Grievances clause of the First Amendment, but they consistently deny them. Additionally, Oswald refused to respond to most of my informal grievances, though his job, and policy (D.O. 802.02.13), mandates Responses. Their justification for this is that I "file too many grievances." There is no limit for filing grievances. Also, Grievance Coordinator Castorena refuses to process valid grievances, instead returning them "processed" under false pretexts, in violation of the grievance policy. 4(A) This issue is compounded by staff's refusal to properly address the problem. All staff, including Central Office, Admin., Programs and Security, routinely refuse to respond to my Inmate Letters, in violation of D.O. 916. They claim they never received them, though I retain proof of receipt by staff. They are attempting to effectively silence me. They must respond to all Inmate Letter forms. 4(B) This matter also relates to issue #2, as Florence Complex Publication Review staff commonly refuse to acknowledge receipt of my Exclusion Appeals, a Due Process violation. 5. Staff will not respect my Right to Education. They allowed me to begin earning my paralegal degree from Blackstone Career Inst. in May, 2017, but have returned to sender all course materials since June, relying on unconstitutional prison policies as a justification. This is a self-pay course, which will improve my life and reduce chances of recidivism upon release. This prison must allow me to resume this course. 6. I have a Special Needs Order (S.N.O.) for sunglasses, to help me treat my photosensitivity. I've had approved sunglasses sent in but Property Officer C.O.2 M. Del Valle refuses to give them to me, without any justification. Exposure to bright light causes migraines. My sunglasses have been sent in previously, but staff stole them. Now this pair is in jeopardy of being stolen, or "lost." 7. Property Officer Del Valle is violating prison policies and AZ (ARS §31-228(A)) by destroying my property. She refuses to allow me to return to sender non-allowable items (e.g. photos, etc.) received via mail, in violation of D.O. 909.06.1.2.2 & 07.1.5.4. She instead decides to illegally destroy it. 8. Staff are withholding my TV because I'm serving Loss of Privilege (LOP) disciplinary sanctions, though they permit everybody else on LOP to retain/possess their TV. They single me out because I file so many grievances and lawsuits, which other prisoners are afraid to do for fear of retaliation - like having appliances seized. I am writing to inform you that I am commencing a hunger strike on 2017 September 9, to continue until the below issues are resolved. These issues are regarding equal treatment, retaliation, legal rights, First Amendment rights, staff misconduct and conditions of confinement. The Warden is Kevin Curran. The Deputy Warden is Ruben Montano. The Chief of Security is Rodrick Williams, a captain. I am in Kasson Unit. Mental Health Dr. Tracy Rogers is advocating for me. She is well informed. She's trying to help my situation, but is up against security and administration. 1. Arizona Department of Corrections (ADC) allowed me to begin the course, via Blackstone Career Institution. I aced the first exam. My tuition sponsor (my mom) and I entered into a $800 enrollment agreement, only to be told by ADC I could not continue the course because maximum custody prisoners cannot take correspondence courses. I am no longer a max custody inmate; I've lowered my score. I am now close custody, but ADC still won't allow me to resume the course. This course will help me. It will improve my life, and my chances at staying out of prison upon release. I guess the prison doesn't want that. 2. In Jan 2017 the mail room began enforcing an illegal ban on all my incoming books and magazines because I would regularly appeal their censorship of publications. Presently, I subscribe to more than 20 magazines and newsletters. ADC returns all to sender without giving me a chance to appeal. The same is done with books. 3. I am serving over 3 years of disciplinary Loss of Privilege (LOP) sanctions, including loss of appliances. ADC is withholding my TV in property. But I am the only one in Kasson Unit Wing One being subject to loss of appliances. Everyone else on LOP is allowed to retain their TV and appliances. They single me out because I file so many grievances and some civil rights lawsuits, which other prisoners are scared to do. 4. ADC said my mom could send in prescription eyeglasses, then withheld them upon arrival. They've been held in property since May 2017 and are medically necessary. They comply with all ADC policies. 5. In retaliation for my grievances on mail room, mail room staff keep returning to sender my medical sunglasses under false pretexts. I have a medical Special Needs Order for them. And I've previously had sunglasses here at Browning Unit, both max custody units. 6. ADC placed me under protective custody without notifying me, violating due process. They put me in PC without cause, as an insult to my integrity and pride. There is no need or justification to put/keep me under PC status. 7. Prison staff refuse to provide me with the grievance forms I require to proceed in the grievance process, in violation of their own policy (D.O.802) and my First amendment right to redress of grievances. My COIII (counselor), Mr. A. Oswald, refuses to provide me with the forms, as do all staff, who tell me they've been ordered not to give them to me. 8. My C.O.III, who's backed by ADC administration on this, refuses to provide me with any legal calls to my two criminal attorneys and my civil rights counsel, all of whom are attorneys-of-regard. This violates my constitutional rights to speak with and consult with my lawyers, and is causing irreparable damage to my cases. 9. Kasson property officer Ms. T. Williams repeatedly violates policy (D.O. 909) by not allowing me to do legal box exchanges. Property is to conduct exchanges within 3 days of the request. I submited weekly, for the past 4 months and she allowed only 1 exchange. Because I'm only permitted to possess 4 of my 16 legal boxes in my cell, this violation prohibits me from accessing vital legal documents and thus hinders my ability to adequately litigate my cases. I've filed many grievances on Williams, and this is her retaliation. 10. I have several personal books in property. Williams's superiors at Central Office have ordered her to allow me to do book exchanges, but she refuses to let me. This has been going on for one year, since my 7 September 2016 arrival to Kasson. I simply wish to read my books. I'm in the Violent Control Unit (VCU) in Florence, Arizona at ASPC Eyman - SMU I, locked away in deplorable conditions far worse than regular isolation. This unit was customarily reserved for the severely mentally ill or for prisoners with unpopular views. "The unmanageable." The cell fronts are covered with a Plexiglas shield. There is no form of human contact in isolation. No window to the outside world. Recreation consists of four concrete (twenty foot high walls), which begins by being strip searched and then shackles are placed behind our back. Visits are non-contact for two hours that are separated by Plexiglas window, no hole in the middle to speak through or phones only a mesh screen about an inch wide along the edges of the window. One of the many repressive tactics ADC continues to use against me is deliberately placing me in the treacherous shadows of the severely mentally ill who require serious psychiatric care. Their intended purpose is to cause psychological torture. Each prisoner is placed in direct ear shot of each other in small eight man clusters where the mentally ill bang, scream, cry, mutilate and kill themselves. Paranoia, delusions and homicidal rage begins to consume a person's mind. Prisoners are stripped of all personal property and 24 hour illumination is endless. Stripped of all humanity except the right to remain alive. During my second day in VCU I was food poisoned by ADC staff. The extended days, freezing nights, constant loud noises, cell walls smeared with feces, tasers, sadistic guards and K-9 dogs during this vicious era provided me with a fierce desire to stand up and speak out against inhumane conditions. I was no longer innocent, yet I discovered a deep-seated purpose to survive. For years ADC denied that such unit existed until a seasoned jailhouse lawyer — Mr. James Skinner — magically appeared and dismantled it by using a 1983 civil rights action in 2007. I've spent the previous fourteen years of my life in prison learning to read, write, survive and acquire enough legal skills to navigate myself and others through the state and federal court system. Most prisoners in state prison can't afford to hire a lawyer and are usually ill-equipped to enforce their own constitutional rights in court. The systemic deficiencies in our court system is designed to deprive us of the very thing it portrays — justice. It instead serves as a smoke screen to legitimize our mass incarceration epidemic. The hyper-technicalities and court rules makes it virtually impossible to overcome this oppressive scheme. Nonetheless, I've made significant progress in locating the barriers that prevents our voices from being heard and I've articulated a path toward reaching equality, to overcome the impediment that has kept us voiceless and faceless. Solitary confinement either brings out the best or the worse in us. In 2012, I became involved as a class action representative contesting ADC's unconstitutional practice of housing prisoners with pre-existing mental illnesses in isolation. Despite extensive research from several human right organizations and highly qualified mental health experts into my social history and the psychological effect my confinement has had on me including stipulations between the ACLU and ADC condemning the use of long-term isolation, ADC officials continue to profit from this unpredictable choice of rehabilitation. Holding prisoners in long-term isolation is more than inhumane — it's detrimental to our physical health. The eighth amendment prohibits the use of chemical agents on prisoners taking psychotropic medication because it effects the bodies ability to regulate heat and greatly increases the risk of heat related illnesses. Yet, ADC continues to use chemical agents against me as a form of a sporting event. My day to day regimen depends largely on the uncertainty of suicide. You slowly lose your grip on your willingness to survive, it's uncontrollable! Just so we're clear, the law says the punishment for being convicted of a crime is the prison sentence, but the law enforcement community see the prison as a place to inflict terror and abuse upon its prisoners until all hope for humanity is lost. Prison is an unrelenting machine turning societies under-privileged around and around, faster and faster in a vicious cycle of misery, brutality, frame-ups and assassinations. It is well-documented in my institutional file that my name and number have appeared on a multitude of New Mexican Mafia "kill lists." Despite knowledge of this information ADC has knowingly placed me on the same tier with known enemies, I've been involved in multiple stabbings and vicious assaults. It's clear as day prison only serves as a basis for recidivism and is designed to encourage violence, drug abuse, to disproportionately imprison people from low-income communities and with time has shown the "war on drugs" rhetoric was in fact propagated to thwart the civilization of a less popular class. State law prohibits educational programs for prisoners housed in solitary confinement, transitional programs from solitary to society or from isolation to a less-restrictive environment are crucial in reducing the recidivism rate, yet they're non-existent. Why? We're deprived of our strongest source of liberation. Lawmakers have an inherited process of discrediting and demoralizing the integrity of the elementary rights of prisoners all across the county. The target of this false premise is not only us but the U.S. Constitution itself. 1) Our cells are steel and brick. The heat this winter is being turned on from 9 p.m. - 6 a.m. Temperatures have been high of 50 and lows of 30. The warden, Ms. Frigo, stated to the officers "Tell them to put on their jackets and blankets. I don't care how cold it is." In the summer when temperatures are 115, we only have swamp coolers and swamp coolers don't work over 90 and the rooms are 90. 2) Last year in the winter, there was a power outage and after a couple days they brought in backup generators. The 36 yard wasn't even given extra blankets for the cold. 3) The power went out one day this summer during lockdown and the officers wouldn't open the doors to let air into the rooms and the temperatures were over a 100. 4) I put in an HNR (medical request) for back and knee pain in June 2015. After 7 HNR requests, I was finally seen 6 months later in December. The health care is horrible here. Check to see how many women have died here in the last 2 years because of improper health care. Women have complained of chest pain and other issues and are sent back to their cell and told there is nothing wrong, to drink water and take an aspirin. 6) Improper nutrition - we get milk 3-4 times a week, and no real fresh fruit because everything is canned. We have been fed molded bread, eggs are a treat, we get a hot breakfast, hot lunch, and cold sandwiches for dinner. 7) Indigent people are not given sweats, thermals or long sleeve shirts or hats in the winter. No shorts in the summer. People purchase clothing that can't be taken out of the prison when released but we aren't allowed to give them to the indigent people. Why do we need to purchase clothing in prison or be without? 8) We sleep on steel beds with a 2-inch mattress and no pillows, unless you have money to buy a real pillow during a fundraiser. 9) There are black widows and brown recluse spiders, bugs and ants in the rooms. I reported that we had an ant infestation in our room to the Sergeant and Lieutenant and was told there's nothing that they can do and have to wait for an exterminator. When the exterminator came they only sprayed the kitchen and officer box and did not go into the rooms. We have put grease and pepper in the window to keep out the ants. 10) In the town hall meetings the Deputy Warden continues to state there is no money for anything. We use bed sheets for shower curtains. There is mold in the showers. 11) We are given 1 roll of toilet paper a week, and if you need more you have to buy your own from the store. 12) Jobs pay $0.10 - $0.50. We also pay $100 towards a gate fee that we receive upon release, $2/mo to utilities, 1% is taken out of money sent from our families and from our pay, to pay for the building fund. 13) In the summer 2015 the temperature was over 100, the water pipes busted on the 34 yard so they had no water and all that we have are swamp coolers. So for 2 days there was no cool air. They brought in 1 porta-a-potty for over 200 women to use in the yard. There was no coolers, no showers, no sinks and no toilets. 14) No rehabilitation. We are told there is not enough money for programs. There are no incentives for people to do better. 15) Another time in the summer of 2015 the temperature was way over 100 and the power went out because of a storm. There were no backup generators so we had to sleep with the doors open all night. Inmates slept on the floor just to get air. Power was finally restored around 2-3 a.m.
16) We are given 1 pack of sanitary pads once a month and they limit what we purchase in hygienes. 17) There are signs around the prison that say "don't drink water". 18) There is a woman on 34 yard who was bleeding for months and she kept putting in HNRs and was continuously told there was nothing wrong. Finally 8 months later she was sent to a specialist and told she had cervical cancer that was so far progressed all they could do was put her on chemo and radiation to slow it down. She was told her time is limited and she's going to die. Prisoners should send a copy of the signed petition to each of the addresses below, which are also on the petition itself. Supporters should send letters of support on behalf of prisoners. The American Civil Liberties Union (ACLU) picked up my pending case challenging inadequate medical services and unconstitutional conditions of confinement in 2011. We're expecting a trial date in 2015. We are attempting to force Arizona Department of Corrections (ADC) to change its policy and practice of housing the mentally ill in isolation for extended periods of time. State prison is extremely poor, prisons are understaffed and riddled with security flaws. I am an adamant critic and am vocal about its policies and practices, therefore the administration has made my life here in prison severely difficult. "Whether a defendant in a state criminal case has a federal Constitutional Right to effective Assistance of Counsel at initial-review-collateral-proceedings specifically with respect to his ineffective-assistance-of-trial-counsel-claim." Because state law does not mandate Effective Assistance of Counsel during a convicted criminal's Initial-Review Collateral Proceedings (Ariz. R. Crim. P. Rule 32), I'm able to believe that prisoners in Arizona are being discriminated against because they're indigent and cannot afford effective counsel during their Initial-Review Collateral Proceedings. The United States Supreme Court only takes 3% of the cases filed each term, so the odds of them taking my case is nil, but imagine if they did. WOW, this would mean that a pro se litigant would have molded the law to conform to the needs of the oppressed here at the very bottom of society's heap. A person is only as big as his dreams. "No state shall... deprive any person of life, liberty, or property without due process of law; nor deny to any person within its jurisdiction the equal protection of the Law." If you feel you were denied Effective Assistance of trial council, and a Fourteenth Amendment right to effective assistance of Appeals Counsel for your Initial-Review Collateral Proceedings because either you did not have an attorney during your first Rule 32, or your Arizona R. Crim. P Rule 32 Lawyer was ineffective for failing to investigate Trial Counsel claims and/or other substantial right claims during trial, it would be important to draft out a notarized affidavit outlining the facts in your specific case and send them to the addresses below. If we're able to gain enough affidavits, then we could proceed to present these facts to a federal district court asking them to appoint class counsel and certify our case as a class action. All we can do is try! In Strength and Solidarity, Revolution! MIM(Prisons) adds: Please note to not send your affidavits to MIM(Prisons). We do not have the resources to copy and mail your affidavits to the addresses listed above. We commend this comrade on discovering loopholes in the legal system and attempting to remedy them to the advantage of the most oppressed in this country. 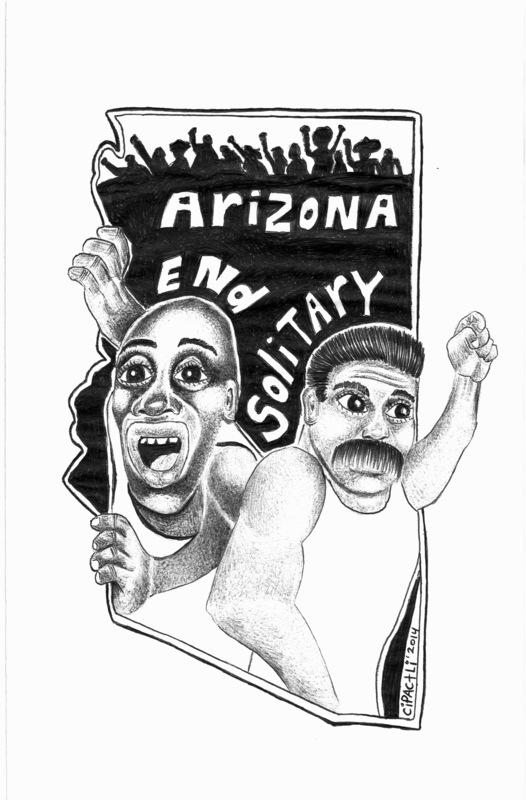 We encourage comrades in Arizona to participate in this effort to provide more legal support to prisoners in the state (at least on paper). And we must remember that our struggle cannot stop there. While a successful habeas corpus case may help a prisoner to be released, a release is only as valuable as what you do with your time when you've made it outside. A recently released comrade wrote of the challenges s/he will face after h parole, and the difficultes s/he will have in carrying out political work, even though s/he is supposedly now "free." The trend toward individualism of general legal counsel is one reason why the MIM(Prisons)-led Prisoners' Legal Clinic only works on issues directly related to expanding our ability to organize, educate, and build toward an end to illegitimate imprisonment altogether (i.e. communist society). We believe people should fight for their release, but that they also should struggle for the release of the world's majority from the chains of imperialism. Related to the topic of carefully selecting our battles, we have written extensively on the limitations of focusing on fighting housing mentally ill prisoners in long-term isolation. (1) Some shortcomings of this strategy are legitimization of long-term isolation for not-yet-mentally-ill prisoners, and the fact that long-term isolation leads to mental illness in prisoners even if they entered isolation with sound mind and body. Of course we agree with the principle that mentally ill prisoners should not be housed in long-term isolation. But we take it further to say that no prisoners should be housed in long-term isolation, and we see no value in selling out some comrades on this issue in order to save others; eventually everyone held in long-term isolation will suffer mental illness. Abolish the SHU! Note: See Under Lock & Key issue 15 for much more on our take on mental health in the U.$. prison environment. We can't get anything done around here like getting a toilet or sink fixed. There are 800 cells on this yard and in 5% of them these basic amenities don't work. We literally have to fill mop buckets of water to flush down waste. Three of these pods leak water from the ceiling on to the day room 24 hours a day. It's always flooded and this combination is physically and biologically hazardous. MIM(Prisons) adds: As we explained in ULK 34, prisoner health is a systematic problem. We have documented cases of lack of adequate nutrition or even safe uncontaminated food, brutality that leads to permanent physical health problems, contaminated water, medical neglect and other sources of health problems throughout the prison system. This problem with toilets and other leaking water is yet another example of prisons creating conditions that lead to significant health problems for the captives. Sanitation is a basic problem that we typically see in Third World countries, but this is just one of many examples of poor sanitation in Amerikan prisons. While individual cases like this could be addressed by the prison, we know that inadequate medical care and lack of basic sanitation are conditions the oppressed face around the world, and not something that imperialism has an interest in fixing.